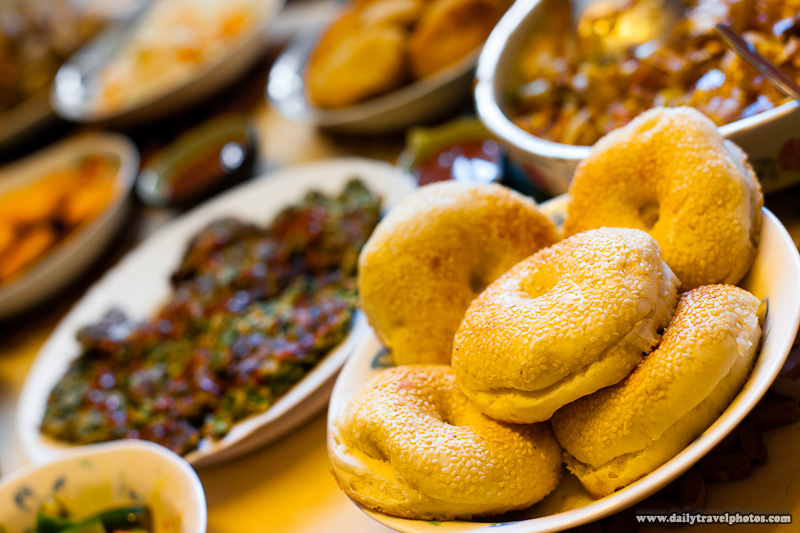 A local food specialty, the "Jiguang Pie" that resembles a bagel on the islands of Matsu. The military requirements of Matsu forced creative ways to feed its troops. It's said that a high level commander, wanting troops to be fed quickly, created a bread with a hole in the middle - essentially a bagel. A necklace can be looped through the bread in order to both free a soldier's hands for immediate combat, as well as, easily transport their food close to their mouths. The "Jiguang Pie" was born. The "meat" in the "Jiguang Pie" consists of an omelette with various pieces of seafood cooked into it. Naturally! It had to be seafood.